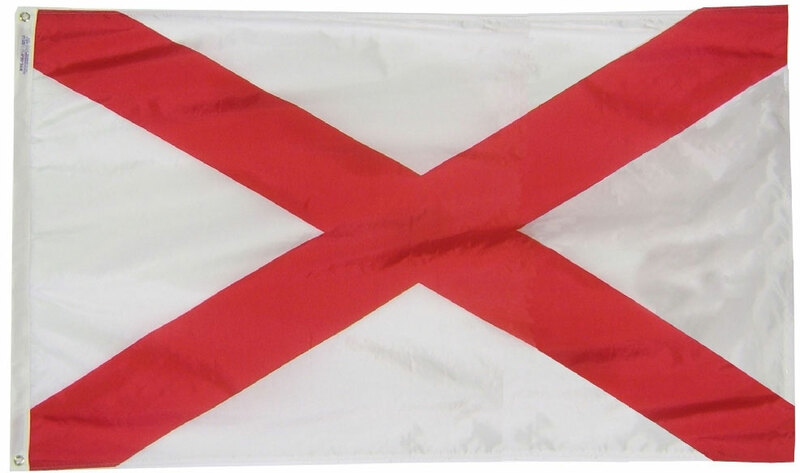 Designed for outdoor use, these beautiful long-wearing 3' x 5' Alabama flags are crafted from the highest quality 200-denier nylon. The colors are dyed into the fabric for superior penetration and color-fastness.Attaching to a pole is easy with the canvas header and brass grommets on the 3' side. The hem on the fly end of the flag features 4 lock stitched rows to help prevent premature fraying. The authentic designs are based on information from official sources.